Peel Pub is always exploding with sports fans, so the vibe is perfect for game night. If you’ve ever been when the Habs are playing, you know that everyone’s decked out in full Habs gear. On top of the standard list of pub food, the chef puts out daily specials boasting great prices. 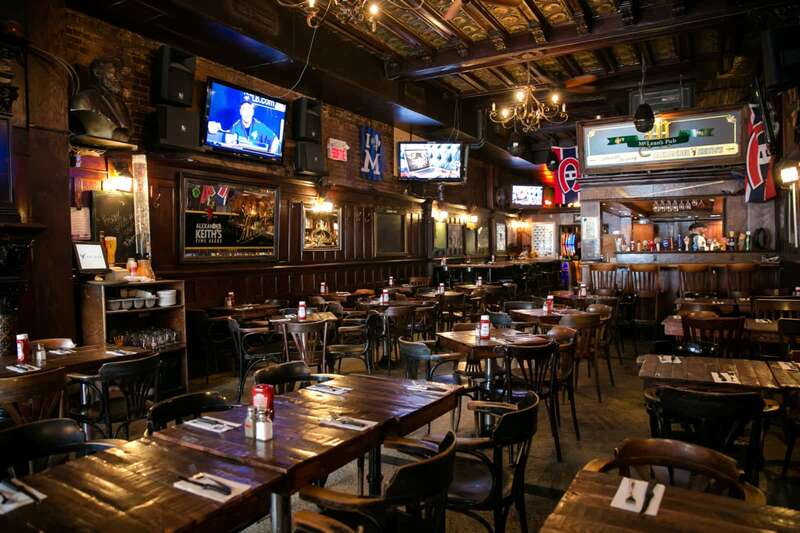 Though Peel Pub is huge, it’s a sports fan’s go-to, so arrive early! Perfect for a date, dinner, or for watching the game with friends, the Ping Pong Club is a place you need to check out. With ping pong tables and other games, this is a great bar for entertainment of all kinds. Also, the Ping Pong Club hits “pub food” out of the park. A serious must-try. Looking for a place that's a little more laid back? Then look no further than Bruno Sport Bar. Best known for their friendly staff and chill atmosphere, you'll want to check out many of this season's games at this low-key hangout. McLean's is a Montreal favorite, having been open for over 25 years! Every Wednesday, you can sing-along at their karaoke night. Also, any day of the week from 4pm to 8pm, you can play pool free of charge. Yes! Bring a friend, eat some grub, and watch the game. 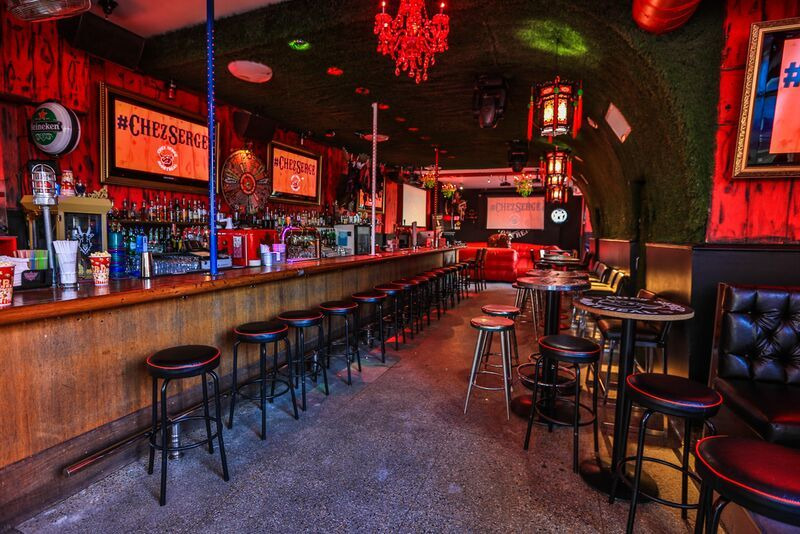 Chez Serge is the only bar in Quebec with a fully-functioning mechanical bull. This Montreal hot-spot is a definite must-visit! Saddle-up the bull and have something to talk about at the office for days! Not to mention, it's the perfect place to catch the next game with a group of your closest buddies. Now get out there, grab a beer, and watch some hockey! Britanny is from Canmore, a small mountain town in Alberta, in which cross-country ski boots are worn instead of shoes. She attended Mount Royal University in Calgary, and moved to Montreal to pursue a career as a writer. Brit misses the small town vibes but is in love with the culture and day-to-day life of Montreal. You can usually find her dancing, laughing, reading, painting, doing yoga or talking too much. The other most likely scenario is that she is hanging out with her cat, Edgar Allen Poe.